With January a distant memory, some of us will have fallen off the health and fitness wagon by now, or maybe you’re just looking for an extra push to get you working harder in the gym. Four and eight-week challenges are a brilliant way to kick-start into a structured workout routine, and show great results – fast! 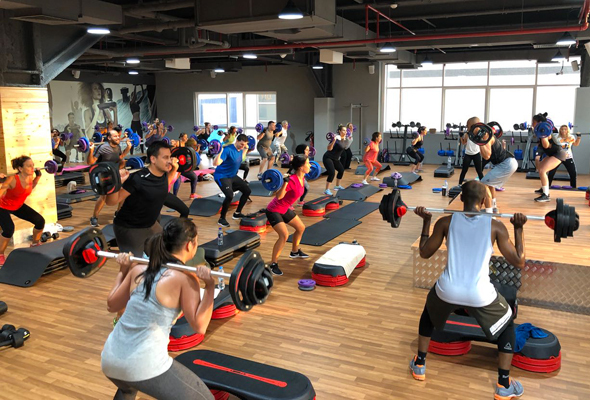 Here are six tough-but-worth-it fitness challenges to try in Dubai. What is it? The 6in4 challenge was created by Olivia and Adam McCubbin, it’s a programme where you can lose six kilograms in just four weeks with a combination of training, nutritional advice and supportive coaching. The four-week programme gives you unlimited fitness classes including weight training, cycling, swing yoga, boxing, pilates and more, access to the expertise of the head coaches, a positive support group amongst the other challengers and if you lose the six kilograms, you’ll receive another month of unlimited classes complimentary to ensure you stay on track. 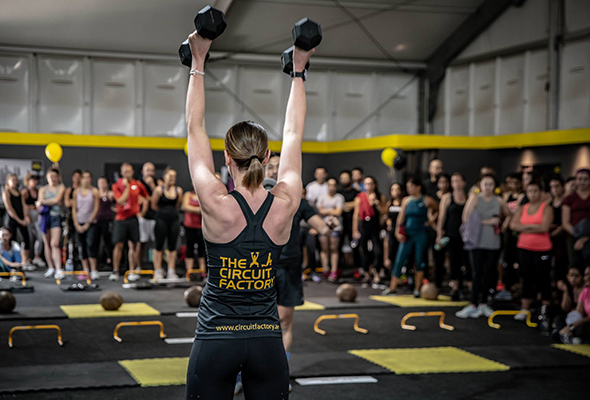 The challenge will kick off on Saturday April 27th, where applicants will be given a body fat analysis and weigh-in, followed by an orientation seminar. Where is it? 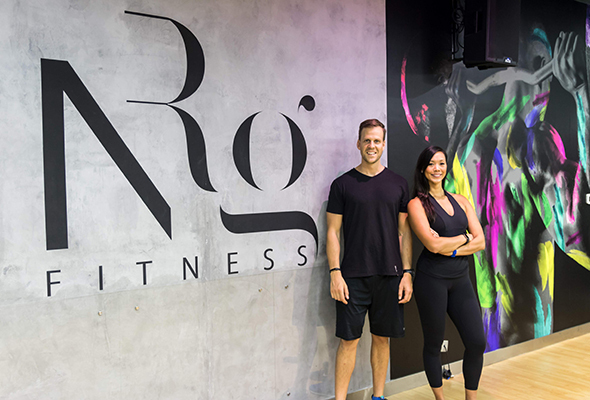 The next challenge will take place at What’s On Awards 2018 winner, NRG Fitness, Dubai Marina. What are the costs? Early-bird special until April 20 is Dhs999, after-which the price will increase to Dhs1299. What is it? The Circuit Factory has a four-week challenge that includes unlimited Circuit Factory classes. You must commit to at least four classes per week, follow the Holy Grail by eating clean, and keep a weekly food diary. The team will take your measurements before and after so you can see the results of your hard work. Aside from the suggest meal plan, Circuit Factory also offer a ‘Food Box’ service, which delivers prepped ingredients with recipes to make cooking clean food at home simple and easy. Where is it? There are branches in Al Quoz, Business Bay, Motor City, Dubai Marina and Springs. What are the costs? One month of unlimited classes is Dhs895. The Food Box works out at Dhs400 per week with a minimum of two weeks required. What is it? The city’s most affordable gym also offers an eight-week programme with trainer Elliot Bendelow. Three times per week, take part in intense group training sessions and weekly weigh-ins to measure progress and results. The transformation challenge also includes a recipe e-book to suggest ways to eat clean and get the most out of the challenge. You’ll also have access to daily support and motivation from your trainer to make the most of the time outside of sessions. Where is it? Gymnation is located in Al Quoz, Sheikh Zayed Road. What are the costs? The eight-week programme is Dhs799 for three-sessions per week, this doesn’t include a gym membership. What is it? 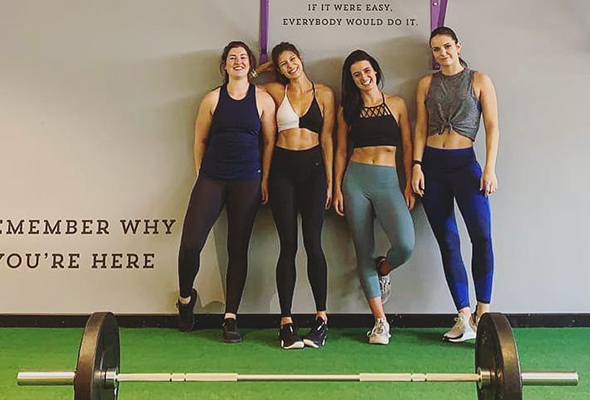 The studio for women, by women, Get Fit Chick, has a four-week transformation programme with unlimited gym classes, nutritional seminar, expert coaches and weekly progress checks. Specially tailored for women’s goals, the challenge focuses on glutes, legs and abs to sculpt and define. The classes include Booty Blaster, UpperCut, power yoga, endurance and more. There are also six-week and eight-week challenges throughout the year. Where is it? Train Strength & Fitness gym in Al Quoz. What are the costs? The four-week programme costs Dhs2,000. What is it? Australian-born training facility, F45, is a team-based workout class, each of which lasts 45 minutes. They have an eight-week challenge which is completely free and open to members-only. The challenge includes body fat analysis, nutritional meal plans, unlimited workouts and activity tracking within the F45 app. Each class could have you burning up to 900 calories in 45 minutes with a mix of HIIT, circuits and functional training. The next challenge will begin on April 29. What are the costs? The transformation challenge is only open to members. First-timers get a two-week free trial, then its Dhs2,200 for an eight-week membership. What is it? The premise of this challenge is simple – complete 19 classes in 30 days. Those who complete the challenge in the allotted time will be rewarded with exclusive Barry’s branded merchandise. Where is it? 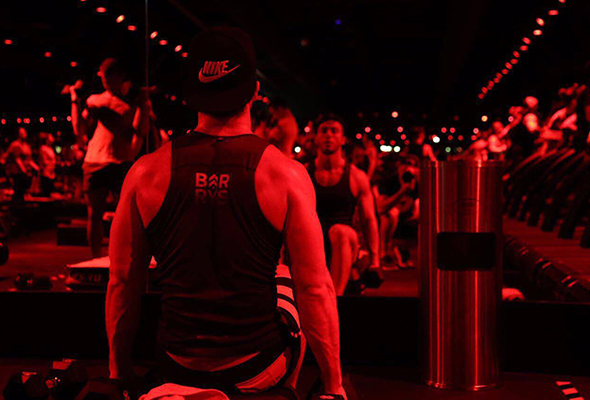 Barry’s Bootcamp have studios in DIFC and Dubai Marina. If you’re someone that regularly travels, you can participate in the challenge in any Barry’s Bootcamp globally. What are the costs? You’ll need to cover the cost of the classes. Depending on the package you choose, this could work out at around Dhs1,800.